Here's a cool Minecraft themed party idea, why not turn a standard party popper into a Creeper or some TNT? I have put together a simple printable template to cut out and glue or tape to your party poppers. 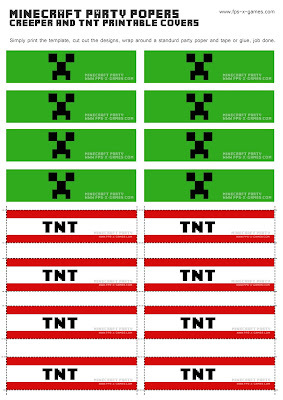 This is a really simple and quick idea to do and will complete any Minecraft themed party. Sssssssssss bang. 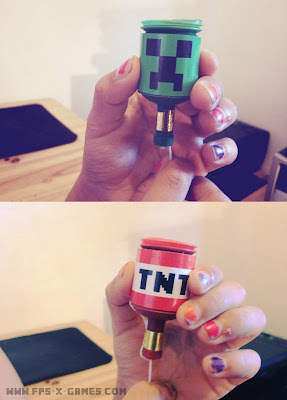 How to make your own Minecraft themed party popper? 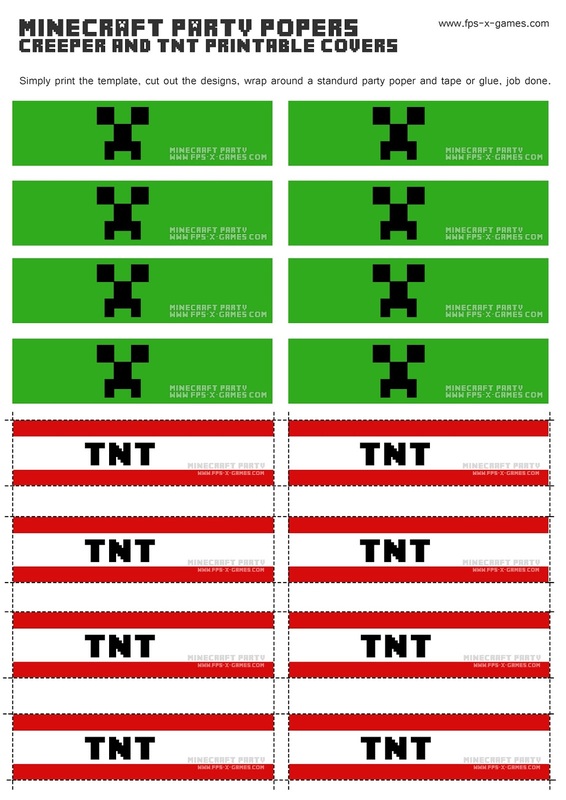 Simply download and print out the Minecraft party popper cover template below. Cut the party popper designs out. Be sure to take your time and be careful. Remove old covers from party poppers. I used green and red colored party poppers to match designs but using other colors would be just as good. Using PVA glue brush the backside of the template and wrap around the party popper, or you could wrap around and tape. If you have any cool Minecraft party ideas that you'd like to see here then please comment below or use our new forum thanks. Enjoy and have a great party.